Puglia Chef Academy’s recreational courses run every day except Sundays throughout the year and are enduringly popular, inspired by the burgeoning food trend of Mediterranean healthy vegetarian and already attracting professionals and skilled enthusiasts in equal measures. Optional extension courses include pastry, photography and Italian language. PRIVATE GROUPS. Whether it’s a family get-together, a milestone Birthday or just a treat for friends, get in touch about your private booking. We’ll get straight back to you with helpful tips and advice. You can choose from a cookery demonstration with canapes and drinks or a hands-on cookery workshop followed by a meal and glass of wine. Half-day and full-day sessions are available, or evenings if that suits you better. It often works out around 20% cheaper to book a private event rather than attending a cookery course by yourself. You can also pick a theme if you’d like to try out new recipes and techniques, such as baking, bread making, fish, Kosher, pastry and much more! we can tailor your event for you. Whether it is a themed day or a specific demonstration or menu you require, we can organise it for you. If you have a group who would like to do something a little different then please contact us to discuss. If you’re looking to celebrate with friends or if you’re after some time away with your company our cookery school is the perfect choice for dinner parties, cookery demonstrations, wine tastings and more. At The Puglia Chef Academy we offer the flexibility to do a group booking – for birthdays, hen parties etc. either at our facility or at the place you are staying. You will be welcomed with coffee and pastries (mornings), a glass of wine (lunchtime) or a glass of bubbly (evenings) before working in teams in our modern kitchen. Once in teams each group will prepare and cook the different parts of a menu and we can include a competitive element to your menu if you wish, such as a bake-off or pasta making competition. Under the guidance of our chefs you group will learn to cook a variety of dishes and at the end of the day, everyone comes together to share their experience and enjoy a feast of the food they’ve created. We will work with you to create the perfect menu for your event and provide all of the recipes, ingredients, equipment and do all the washing up !! Puglia features an acclaimed array of talented young masterchefs endlessly challenging to create and innovate new flavours...we aim at connecting them with the international community of Italian food lovers...We are what we eat: we use only high quality, sustainable, primarily organic and locally sourced ingredients !! More than any standard cookery course that you can buy on line, the Puglia Chef Academy provides a true taste of Apulian and Southern Italian cooking . We help travelers understand our local southern Italian culture and to revisit a favorite destination with a fresh perspective. After all, it’s exhilarating to start the day at a local market then sit down to a meal of pasta with meat balls of your very own making. April's special: bread and focaccia.This is a hands-on sourdough bread making class.In this sourdough masterclass you will learn to achieve the crust and crumb, taste and texture you’ve always aspired to. This includes creating and keeping a healthy leaven, mixing, kneading, shaping, and baking the perfect loaf.You’ll be welcomed on arrival with a lovely Cookery School breakfast. The day also includes a beautiful lunch with award winning wine tastings. Here are the latest programs for seasoned cooks as well as beginners ripe for discovery. Join us for a half day, one, two or 3 week programme (the latest can be combined with Italian classes). People love to eat together !! There may be nothing more social in the world than food..
For some of us, eating great food is a big priority in life. But when one is talking about a visit to Italy food will probably be one of the things you will be most excited about. The truth is that you can find excellent food throughout Italy but, even in this culinary heaven, there are destinations that are particularly famous among foodie travelers. If you’d like to really send your tastebuds into orbit, you’ll include Puglia on your next trip to Italy. This is our best selling 5 hours day or evening cooking experience from 135 Euros pp, 3 hours to cook and 2 hours to enjoy what we have prepared. We had heard from reading reviews that Green Italy Tours was a top notch tour company so we booked a one day cooking class with them - they did not disappoint! Giovanni drove us to a farmhouse in the country and was an engaging and considerate host. The lovely cook at the farmhouse was so patient with us as we learned to make pasta from scratch. We are vegetarian and they graciously catered to our needs. We learned to make many Italian dishes and upon our return home to Canada were able to use what we had learned to make an Italian meal for our family - it was a hit! 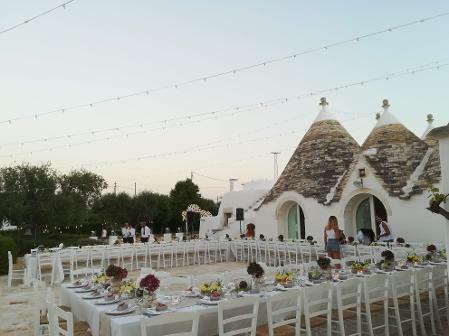 "Gio arranged a perfect day trip for our group of six during our recent stay in Puglia. We toured Lecce, visited the coastal town of Gillipoli and ended our day at a fabulous winery! We had a full day of excellent service, history, laughs and fun. I highly recommend Green Italy Tours. 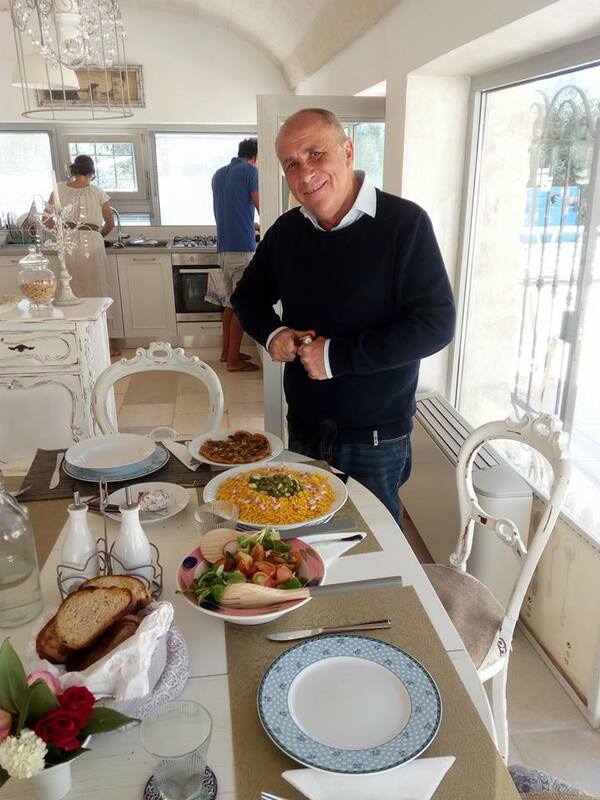 Later in the week, Gio and his team of Italian chefs came to our villa and taught us how to make several authentic Italian meals, including pasta. We had a fabulous time and the food was excellent. 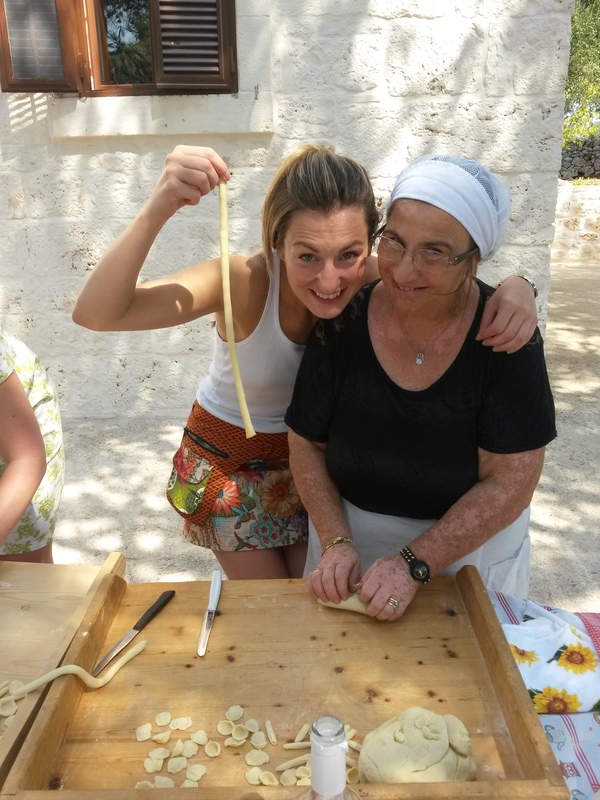 If you go to the Puglia region, you must take a day and enjoy it with Gio's tours or cooking school! " 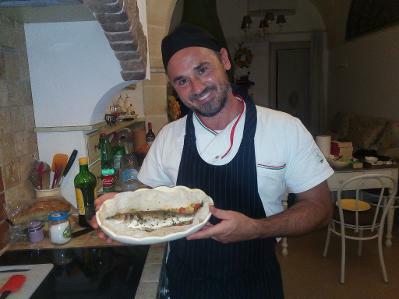 "We had an amazing tour of the Ostuni area with Green Italy tours and were so impressed with the service that we decided to book an Italian Cooking Class with them for our son and his partner (A Birthday Gift). We were picked up at the Ostuni train station ant taken to Aunt Dora's farmhouse for the class. This was done in her house on the traditional Italian Farm - amazing! We made a rolled/stuffed veal dish and homemade pasta all from scratch, and were then fed an amazing assortment of Italian antipasto while we waited for the pasta and veal to be served. This was an amazing experience and a highlight of our Italian Adventure. I cannot recommend this Group enough. 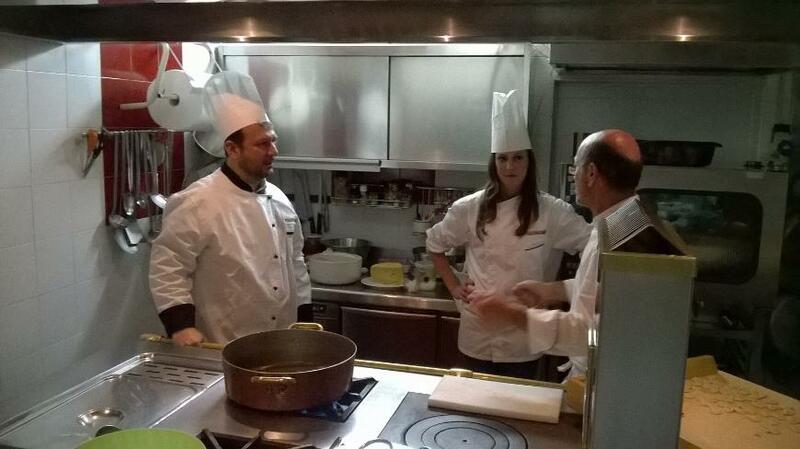 Green Italy and Puglia Chef Academy. Make your vacation that much more and learn to cook Italian. I think I can actually make my own Orecchiette now". Art & Regis from Canada. This is a hands-on sourdough bread making class. In this sourdough masterclass you will learn to achieve the crust and crumb, taste and texture you’ve always aspired to. This includes creating and keeping a healthy leaven, mixing, kneading, shaping, and baking the perfect loaf. You’ll be welcomed on arrival with a lovely Cookery School breakfast. The day also includes a beautiful lunch with award winning wine tastings. Here are the latest programs for seasoned cooks as well as beginners ripe for discovery. Join us for a half day, week or 3 week programme (the latest can be combined with Italian classes). Starters: Selection of cold cuts including capocollo from Martina Franca. Freshly made mozzarelle, ricotta and burratine. Seasoned local cheese. Fried zucchini flowers filled with fresh ricotta cheese. Green and red peppers marinated with olive oil and mint. Cucumber, fennel and orange salad with olives and walnuts. Whole-wheat focaccia. First Dish: Home made fresh pasta with tomato, pecorino cheese, parsley and garlic. Fava (broad) beans pure' with chicory, green peppers, sweet onions, olives and aubergines.Second Dish: Layered eggplant parmesan with zucchini, mozzarella, prosciutto and cherry tomatoes of Torre Guaceto. Meat balls with fresh tomato sauce (veal and or vegetarian). Dessert: Crostata or Tiramisu with mascarpone cheese layered between coffee and Amaro. First we will prepare tiramisu, layering liqueur soaked biscuits and mascarpone cheese and decorating with flaked chocolate. Then we continue with the preparation of the tomato sauce, slow cooked to enhance and sweeten the flavour. Learning to make traditional handmade pasta, orecchiette, is one of the highlights of the day; its unique shape (like little ears) and the combining of Apulian wheat flour and semolina, produces little domes of heaven. Our pasta preparation will be enhanced with olives, focaccia, taralli and a glass of prosecco! Next we prepare the “pastella”, for the medley of fried vegetables. The vegetable pieces are rolled in flour, then dipped in a mixture of eggs beaten with finely chopped parsley, salt, pepper and just a bit of grated pecorino cheese and then steeped in hot olive oil. We will then make another speciality, delicious eggplant parmesan (parmigiana di melanzane) using the sweet tomato sauce that has been cooking for about an hour, and delicious local ingredients. While preparing the eggplants we will start to fry the zucchini flowers filled with locally produced, ricotta and enjoy tasting them while they are hot from the pan. Time to relax, sit down at linen covered tables for our restaurant style four-course meal and award winning wines. Your event is very special to us; we are dedicated to working with you to create an unforgettable experience that reflects your vision. We take pride in providing unique dishes, and seasonally driven cuisine utilizing the finest and freshest ingredients and offering custom made menus that mirror the personal tastes of our distinguished clients. we believes that food uplifts mood, permeates an event with flavor, color and scent, while food service defines and controls the tempo and pace of your event. The results: nothing less than a cherished occasion for you and your guests to enjoy. Our passion in what we do encourages us to break new ground….our division of catering and events is contributing to the shape and growth of the industry in our region. Every day we are developing, adapting and creating new ideas that will become the canapés, dishes, food stations and sharing boards. We focus on flavour (naturally!) but also on texture, temperature and aesthetics as we work to create unique dining experiences that you would normally associate with award winning restaurants. Cooks is a premium brand that provides food lovers with great recepies, tips and videos from the very best chefs in Italy. The chefs we work with are the chefs who cook in their restaurants on a daily basis and whose food is distinctive and cooked with love. 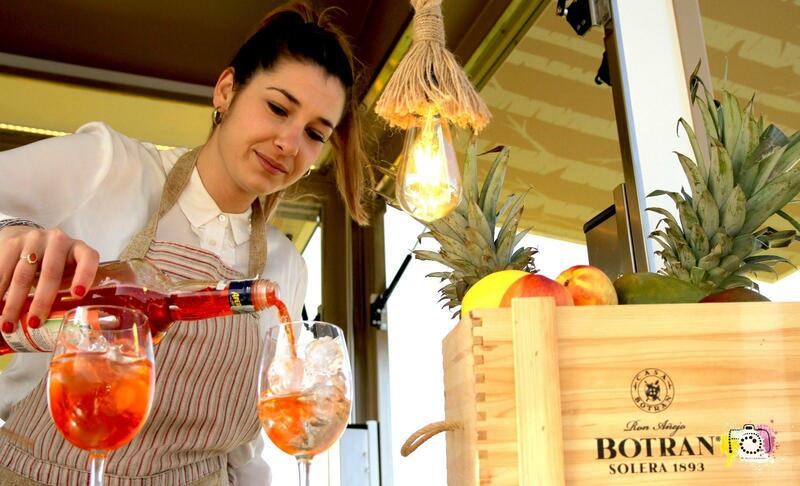 We like to promote young creative chefs cooking in Italy, regardless of their nationality. This diversity makes the culinary scene in Italy so interesting. We are currently working on the "Food for Peace Project" in partnership with "Jewish Heritage Puglia" as well as a number of other important projects with premium partners like "Pasta Sonoma" from California.